Call of Duty has always proven that small changes can go a long way, and true to form, some of Black Ops 4’s most impactful changes are the ones that received the briefest air time at the community reveal. Zombies is great, sporadic fun, and a triple-A studio of Treyarch’s calibre jumping on the battle royale craze promises to push the genre in new and interesting directions, but the core Call of Duty multiplayer experience is unshakeable. Multiplayer is where the most playtime will be invested and what will define its reception among the dedicated Call of Duty fanbase. Perhaps more than ever before for the series, Black Ops 4 feels like a game that was made for its fanbase. 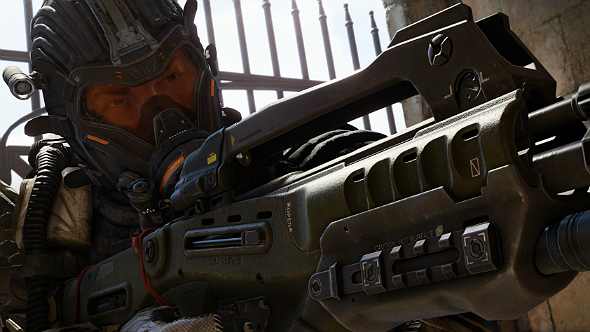 Stripping away thrust boosters and wallrunning, making health regeneration manual rather than automatic, providing bespoke attachments for individual guns, adding predictable recoil patterns, and ensuring you’re almost always able to fire your weapon, even while vaulting – these changes make Black Ops 4 feel much more competitive than any of its predecessors. Want more of this sort of thing? Take a look at our list of the best FPS games on PC. Having to manually administer health might sound like a minor change, but the decisions it forces upon you add some much-needed unpredictability and variation to the COD gun battles you’re used to. In one skirmish I found myself on the back foot and forced into cover, but rather than heal up I switched to my shotgun and waited for my opponent to round the corner dispatching them with a single shot. In another situation – this time I had the advantage – I decided to push on my foe in the hope that they would be healing up just around the corner. Instead, I rounded the bend to find my target gone and an enemy ambush in their place. Kneeslides and sprinting are your primary means of getting about the compact maps, establishing a sweet spot between WW2’s methodical pace and Black Ops 3’s suite of movement options. The fact that your gun doesn’t lower as you traverse the map is a neat touch, too, making gameplay feel smoother and faster without resorting to gimmicks like jetpacks. As ever, aggressive and skilled players will do better than campers, but a bevy of new and returning Specialists ensure there’s always scope for tactics amid the chaos. Firebreak, for example, can initiate an area-of-effect attack that burns everything around him, including himself if he charges the attack for too long. This ability is ideal for clearing out objective points or holding onto a key point in the map and on multiple occasions I was able to clear out a room of four or five enemies before going onto to capture the objective. 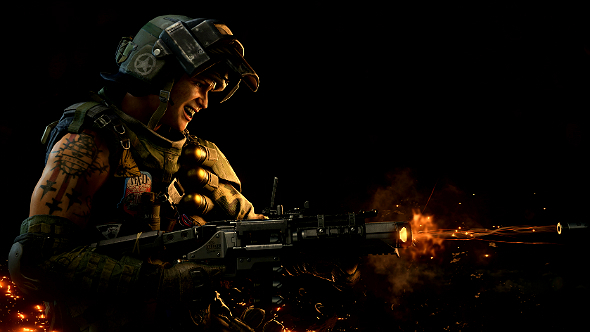 Of course, Firebreak’s main ability also leaves him totally vulnerable while active, so you’ll need to time each use to perfection or have a coordinated team backing you up to get the most out this specialist. Newcomer Torque is another firm favourite of mine. He’s able to place a razor wire that deals damage to any enemies that cross it, which can be instrumental in creating chokepoints and securing key objectives. His second ability creates a bulletproof barricade that requires a lot of thought to get any tangible results from. Get it right and you can protect your teammates from congested angles, but if you get it wrong the enemy have an extra bit of cover to attack the objective from. Naturally, not all Specialists are equally useful, but as their abilities simply layer on top of your chosen perks and attachments, you never feel pressured to use them if you find your favourite Specialists have already been selected. They might bear many resemblances to the operators of Rainbow Six Siege or Overwatch’s heroes, but this is still the same frag-happy FPS you know and love, and there are few situations where you feel punished for neglecting your role on the battlefield. My hour with Call of Duty: Black Ops 4’s multiplayer has left me wanting to jump straight back in. It feels tighter and more streamlined than ever, and while the familiar paint job is hard to get excited by, you only have to play a couple of matches for the razor-sharp gunplay and movement to get under your skin.